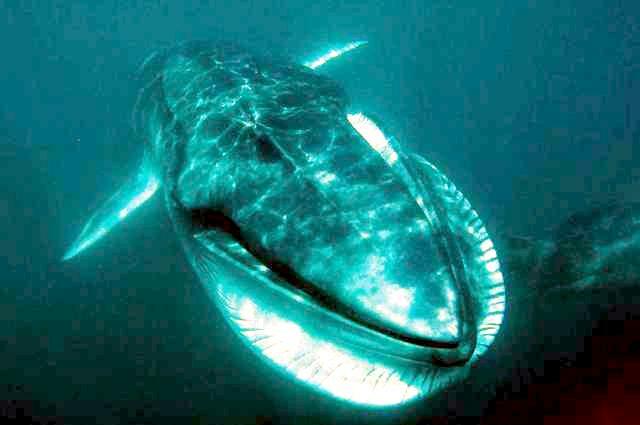 Omura’s Whale is a small baleen whale that can be found living within tropical & subtropical environments in deep waters. 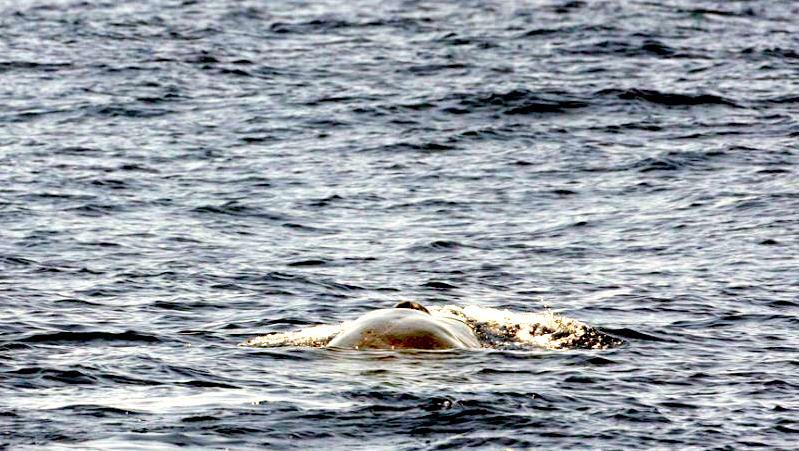 These whales are rare and hard to find. 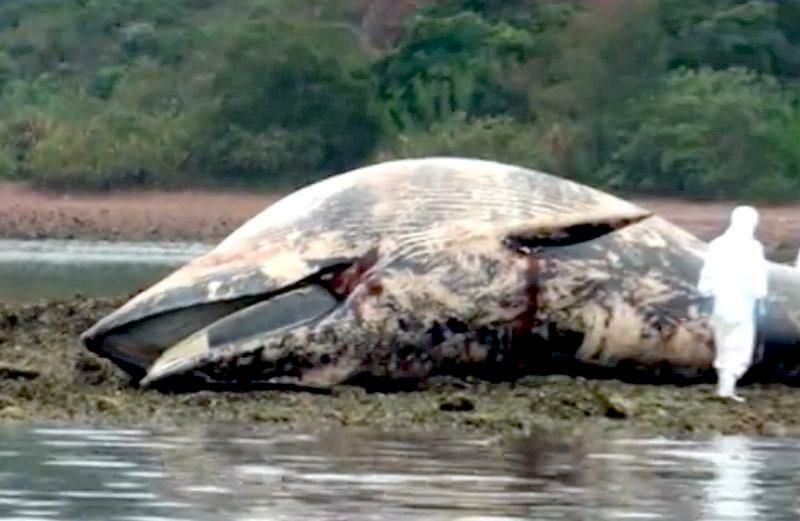 Researchers have struggled to collect data on this marine mammal. 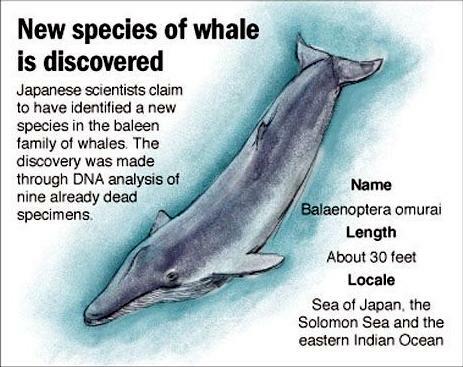 Omura’s Whales named for Japanese whale expert Dr. Hideo Omura, were misidentified as Bryde’s Whales. There is still a lot that is largely unknown about this species regarding where they live, how they socialize and how they breed. 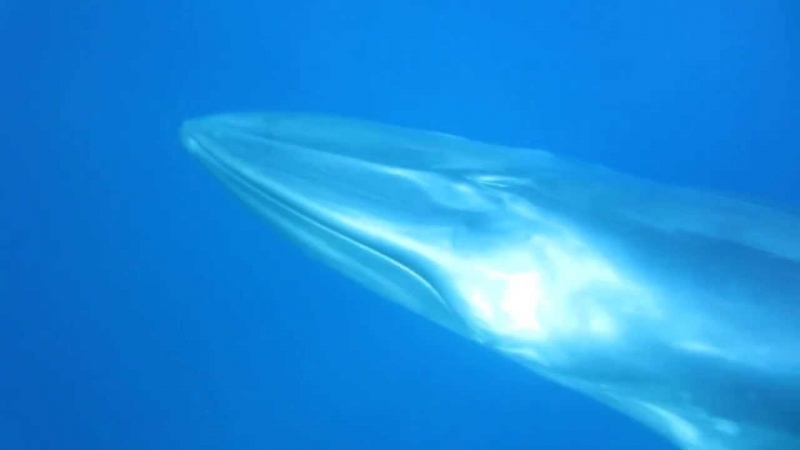 Measuring in at 32-38 feet in length, Omura’s Whale is one of the smallest whales within the baleen whale species. On average male tends to be 6 feet shorter than their female counterparts. 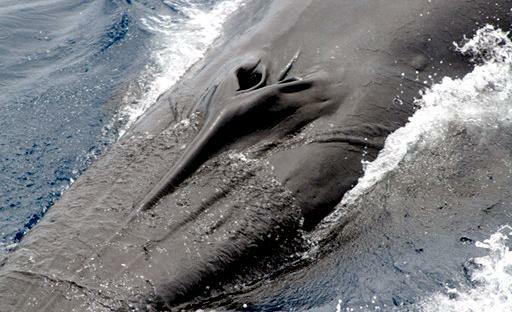 While females can grow to lengths of 32-38 feet, the males tend to measure in at around 27-33 feet long. 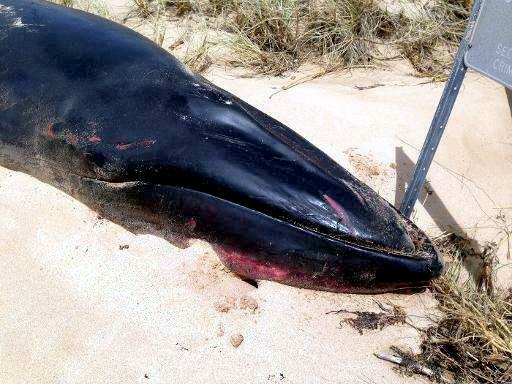 Some researchers believe that these marine mammals may be able to grow to lengths of up to 40 feet long and weigh up to 22 tons, however not enough data has been collected to confirm their actual average maximum size & weight. 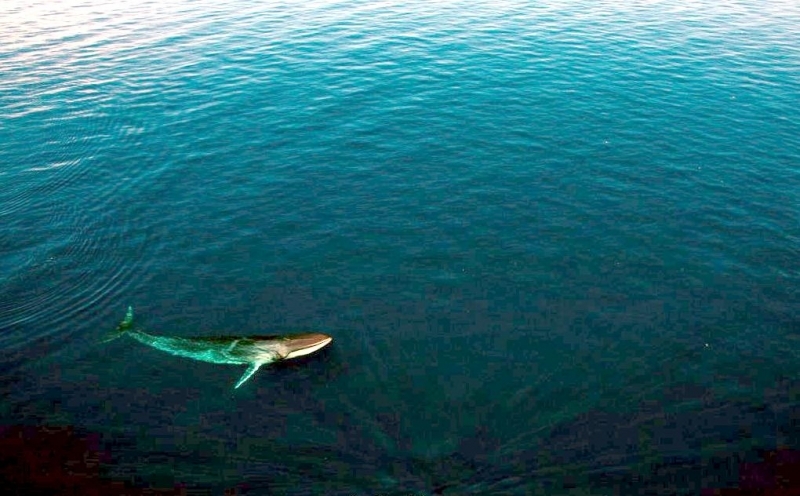 In terms of appearance, the Omura’s Whale is known for their close physical resemblance to the Fin Whale. 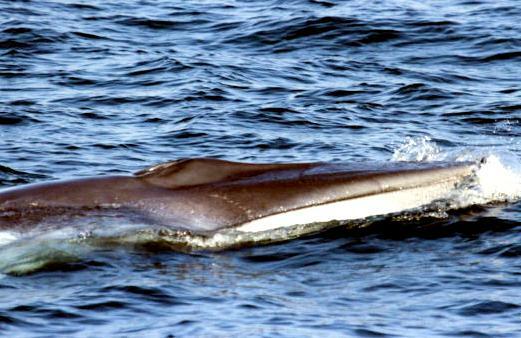 When viewed from a distance, these marine mammals may be mistaken for a small Fin Whale, which is why they are sometimes referred to as the Dwarf Fin Whale. They have a dark gray skin tone on the upper body with the lower body appearing light gray or white. 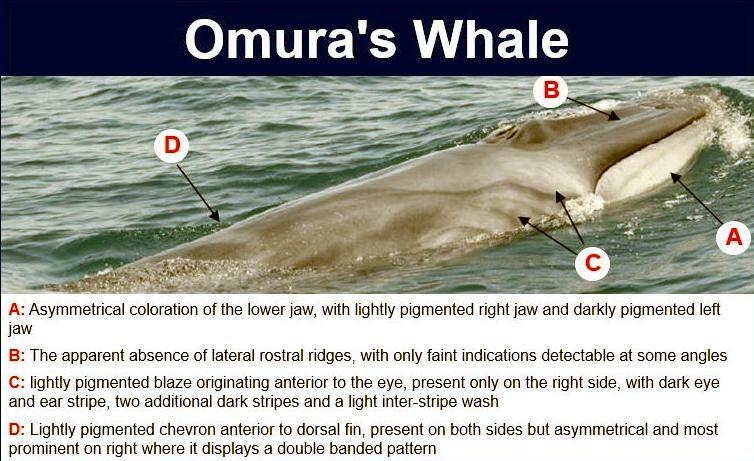 The Omura’s Whale has an asymmetrically shaped jaw that is white on the right side and dark gray on the left. There is also a large prominent ridge on the rostrum which may be followed by several smaller ones. 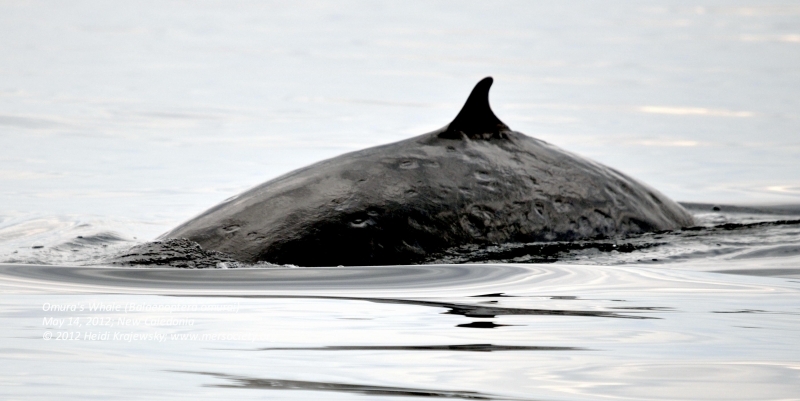 The dorsal fin is bow-shaped and rises sharply in a vertical manner. 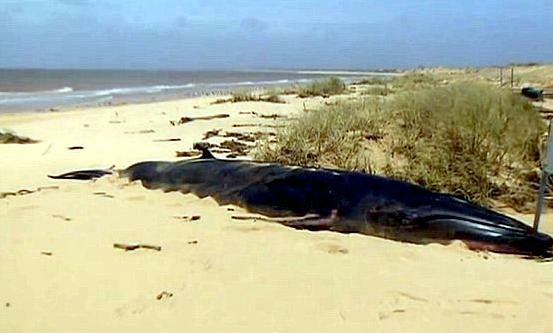 These whales are believed to survive on a diet consisting of euphasusiids and possibly fish. 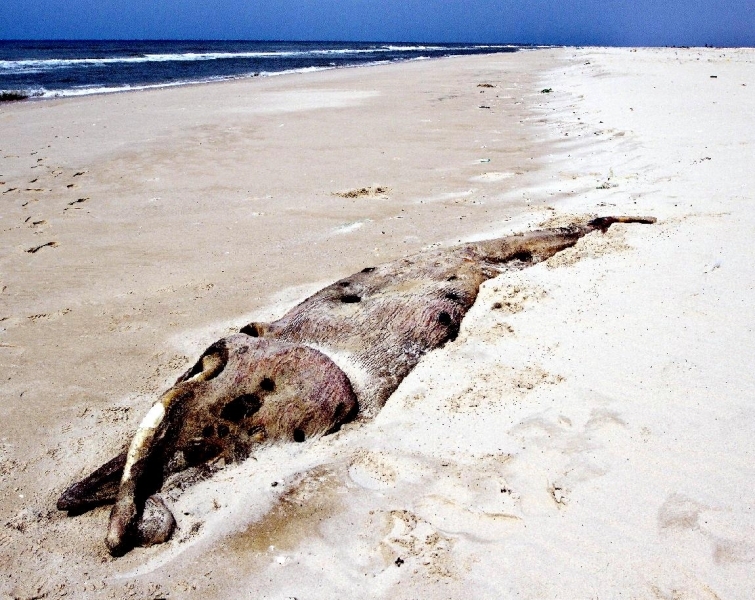 Unfortunately, due to a lack of research data the exact diets of these marine mammals is unknown. 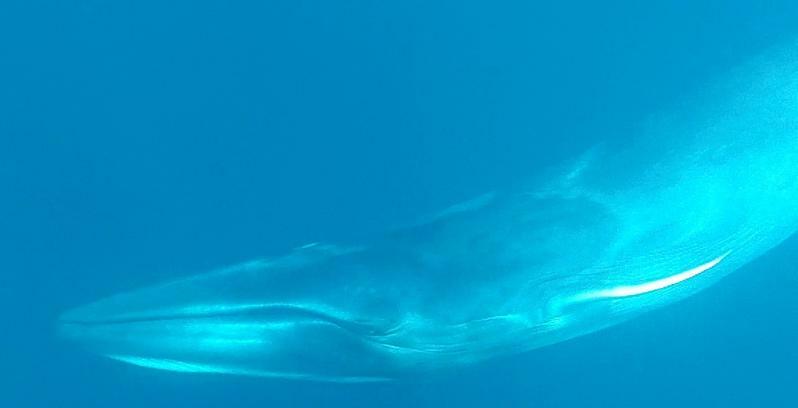 It is believed that like other species of baleen whale, Omura’s Whale uses a filter feeding method to capture its prey when hunting for food. 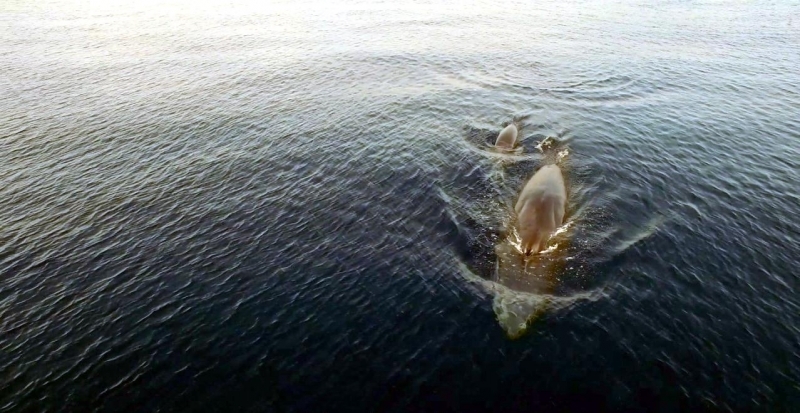 In several observations, these marine mammals have been observed lunge feeding where they lunge at a group of prey and engulf as much food as possible. 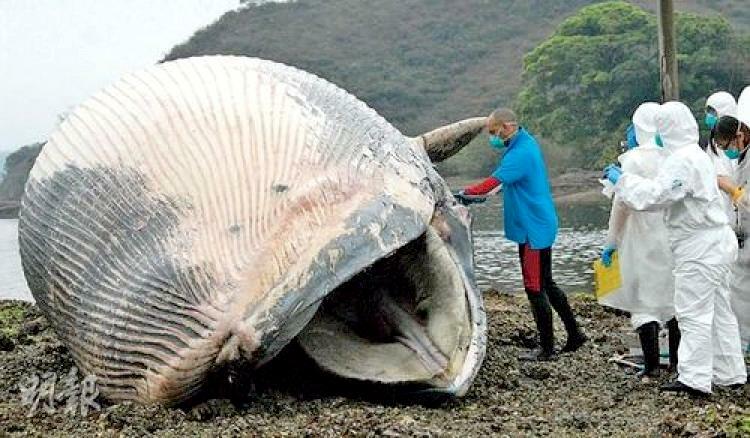 As these whales consume large amounts of food, they use their bristles to separate their prey from the water that passes in and out of their mouth, hence the term filter feeding. 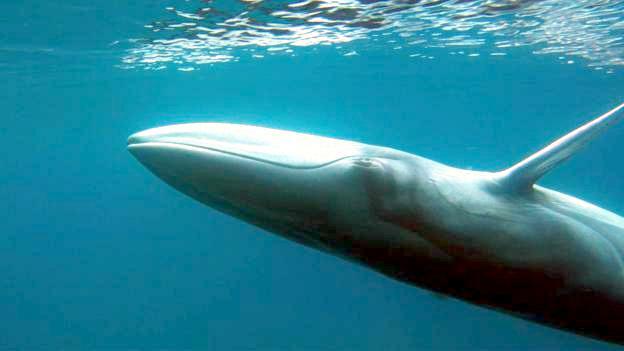 Omura’s Whale can be found living in tropical/sub tropical environments primarily in deep waters. 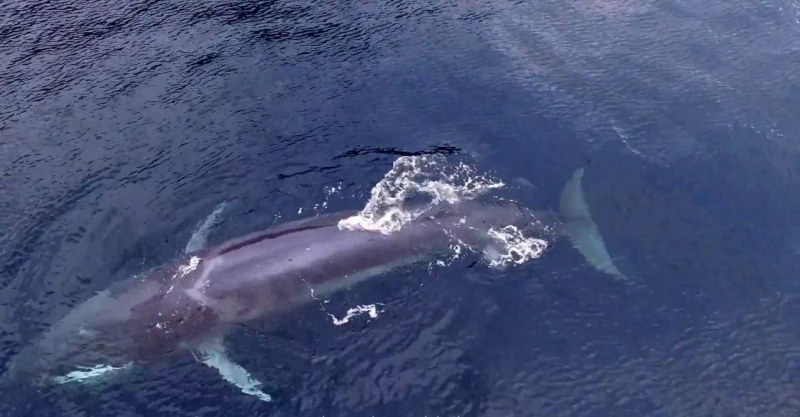 These whales have been spotted swimming through the waters of Western and Southern Australia, China, Malaysia, the Philippines and Thailand as well as a few other locations. 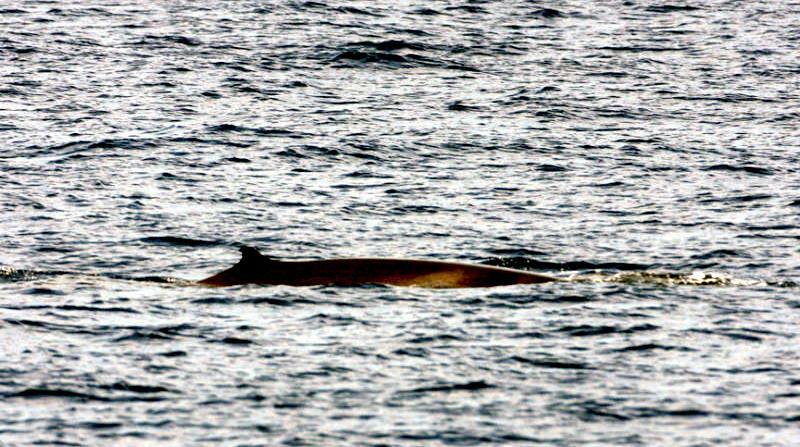 Since sightings of a Omura’s Whale is rare, it is difficult to determine their primary habitat and whether or not they follow any particular migration patterns. As with other data, not much is known about their social structure or how they communicate or vocalization recordings. 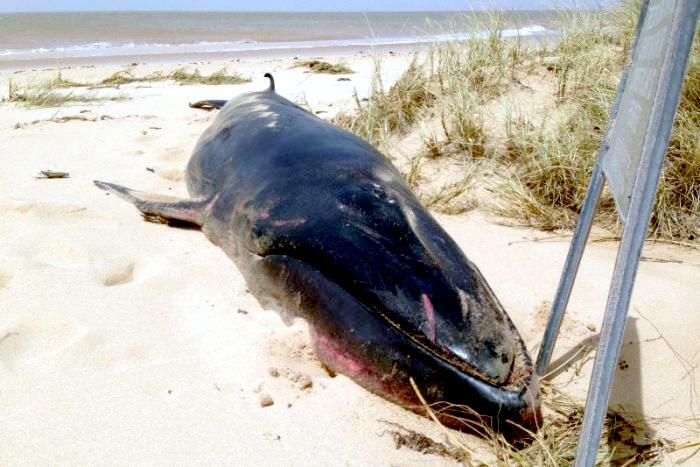 Observations have shown that these whales are known to roll, breach the water and lunge feed. 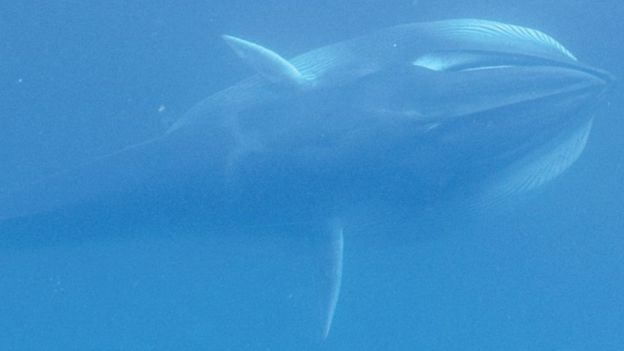 Omura’s Whale are also known to perform certain behaviors during mating periods such as rolling at the surface of the water to show that they are interested in mating with a partner. 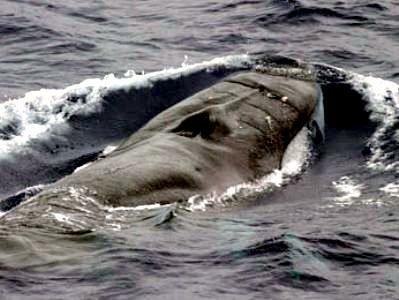 As the name suggest, rolling involves a whale rolling over in the water either at or near the surface. While the exact reason for this behavior is unknown. It is assumed that it may play a role in showing interest during mating sessions or as a way to gain a better observation of their surroundings. 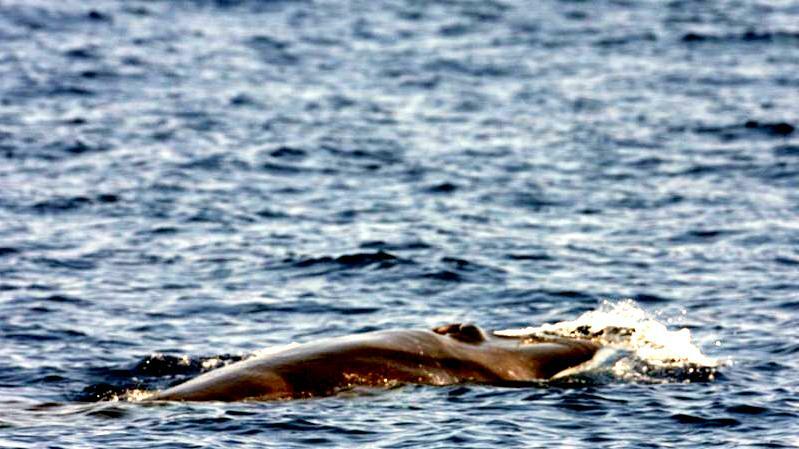 Insufficient data exists on the mating rituals, gestation period, nursing length, sexual maturity and lifespan of these marine mammals. 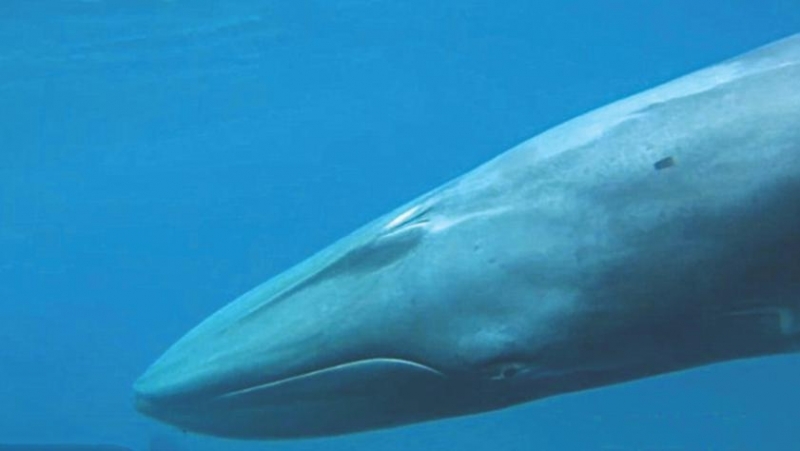 Omura’s Whale isn’t known to face many threats as compared to other whale species and is rarely if ever hunted due to their rare appearances and the protected species act that is heavily enforced in numerous countries. 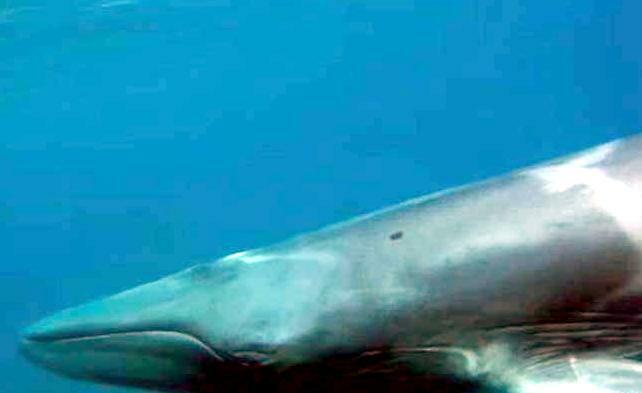 Aside from being rarely hunted for their meat, these marine mammals may also face threats from accidental catches in fishing nets and other fishing gear, however this is also rare. 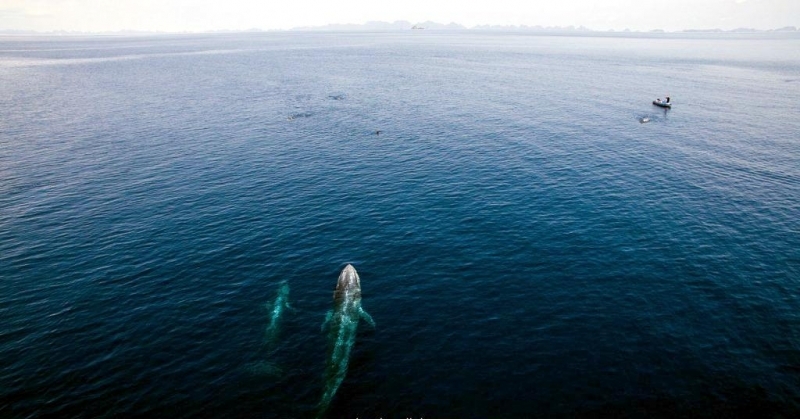 As with most marine mammals chemical & noise pollution may play a role in endangering their habitat. 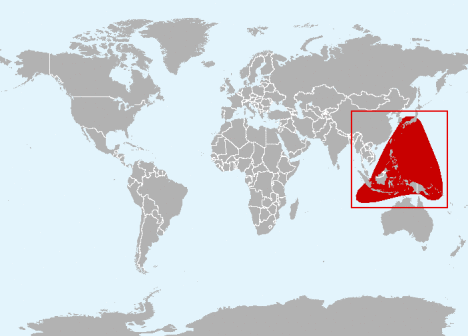 Natural threats for Omura’s Whale such as Killer Whales are currently unknown as well.